Dear Edna…that was the blog name I originally wanted to use, but unfortunately someone already beat me to it, because the domain name was taken. I chose Coffee & Lilacs for several reasons…I love coffee, lilac is my favorite flower scent, it’s a reference to one of my favorite songs, but the combination of coffee and lilacs evokes a very specific memory from my childhood. Growing up, I spent a lot of time at my grandparents’ house. Behind their garage was a huge purple lilac bush that was so fragrant it scented their entire backyard. I loved to hide behind that garage, soaking up the smell of the lilac bush, sitting in the shade with a book to read or color in. From the backyard, you’d enter the house through the kitchen and usually my grandmother Edna, would be sitting at the table, or doing the dishes, or preparing some food…with a cup of coffee next to her. To me, the kitchen always smelled of coffee, no matter what she was cooking. On my way to Chicago for the funeral, I had several hours to myself on the plane and then in the airport due to a missed flight. 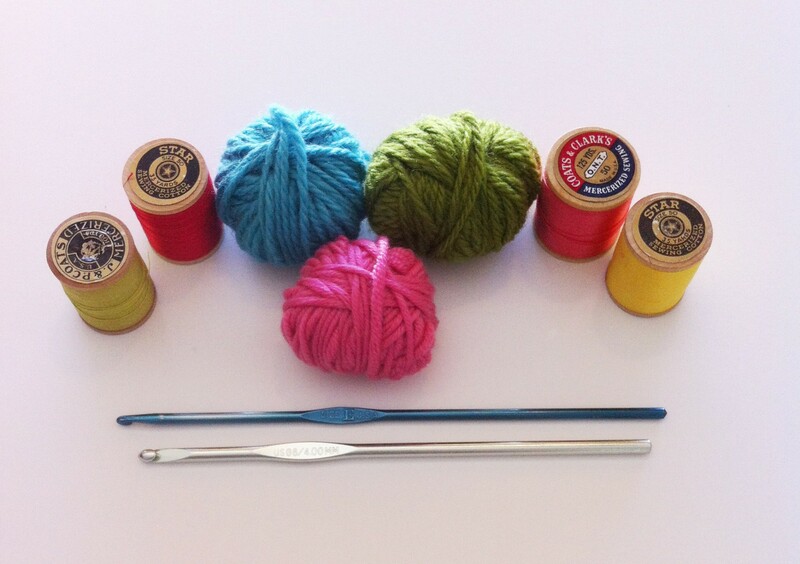 I had brought a small bag of crochet supplies with me…just a few balls of scrap yarn and a couple of hooks. 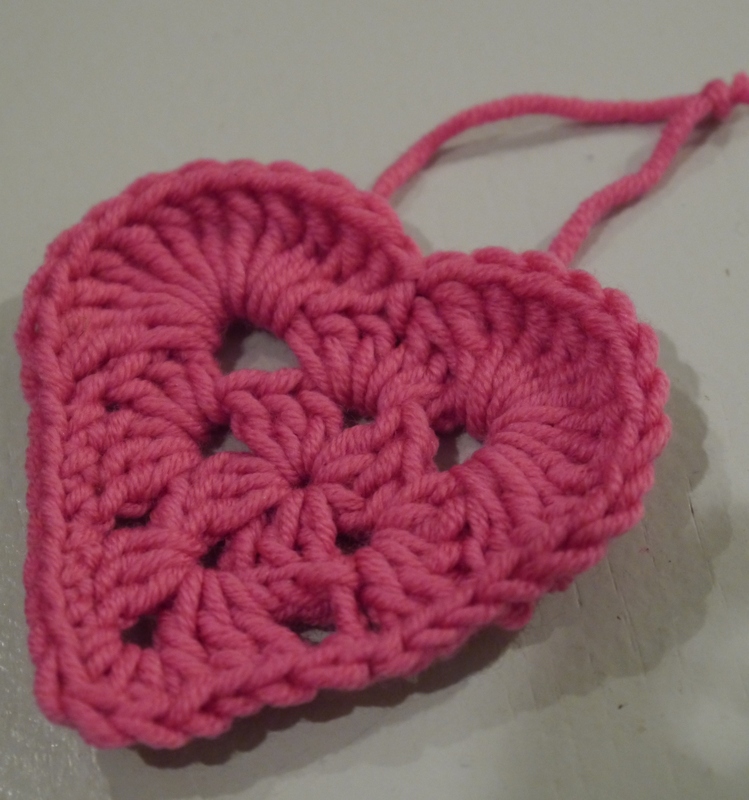 I started to crochet some little granny square hearts, remembering the simple pattern from making them at Valentine’s Day. I decided to make a garland out of them to put in Nanny’s casket, one from each of her nine great-grandchildren. At her funeral service, the pastor spoke about Nanny’s love of crocheting, of how she made all of her grandchildren and great-grandchildren our own afghans and what it means to our family to literally be wrapped in the warmth of her love. It was so symbolically beautiful and poetic. The pastor shared that she too learned to crochet from her mother who told her that the only pattern she needed to remember was the granny square…because the granny square starts as a circle and everything is built upon the circle. Just as in life…it all comes around full circle. We are born, we grow, we die, we are born again and on and on and on. It was so touching and of course deeply emotional for me on so many levels since it was Nanny who taught me how to crochet when I was a girl. And I had just made the garland of hearts from the very pattern she was speaking of. Michael had to pick up the boys from our friends’ house where they were having dinner and he was late in leaving, so by the time I got home he was still on his way. My heart sank. I just wanted to walk inside my house and see my boys, but I couldn’t…Michael had my keys and the money to pay Mohammed and he was still 15 minutes away. I knew I couldn’t ask Mohammed to wait, that just wasn’t fair, so I told him to drive back towards the shopping center where Michael could pick me up and I would get some money from the cash station and pay him there. I thanked him profusely and offered him more money than we agreed upon since he really went out of his way (literally) for me and the rate was more than double what he had initially said. He was so kind, so grateful, so genuine. 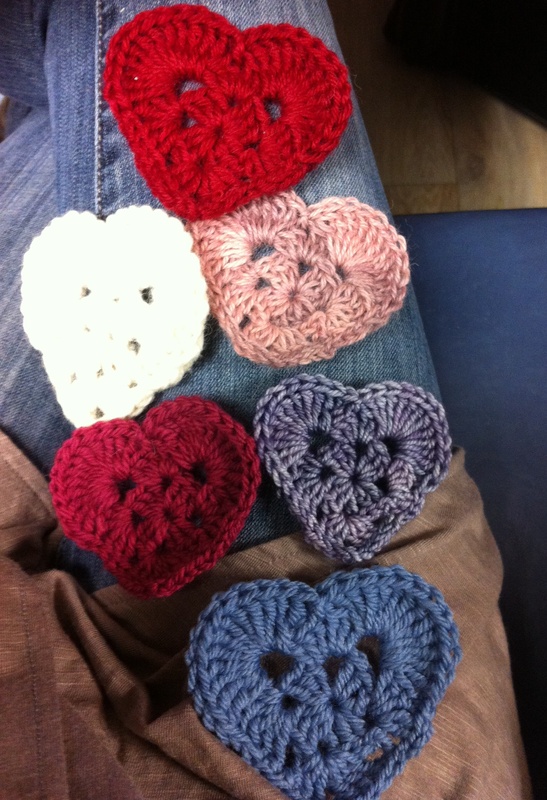 Upon gathering my things, one of the extra crocheted granny square hearts fell out of my bag. I couldn’t help but smile. Nanny, was that you? I reached over the seat and handed it to Mohammed. I said that it was from my grandmother Edna, and that it will always show him the way to love. He hung it on his mirror and said, “God bless you, Dara. Safe journey home, my friend.” And so it was. I just now had the chance to read this Dara and through every word I could picture in my head so clearly this story unfolding. How very precious and humanely beautiful this was. You speak from the heart always and I love that. I’m sorry I didn’t have the chance to see you when you were back home (your other home) and am looking forward to Christmas and catching up with my favorite niece. I love you.